The Golden Hub does not store any credit card information used for donations. Our payment processor is certified to be secure. 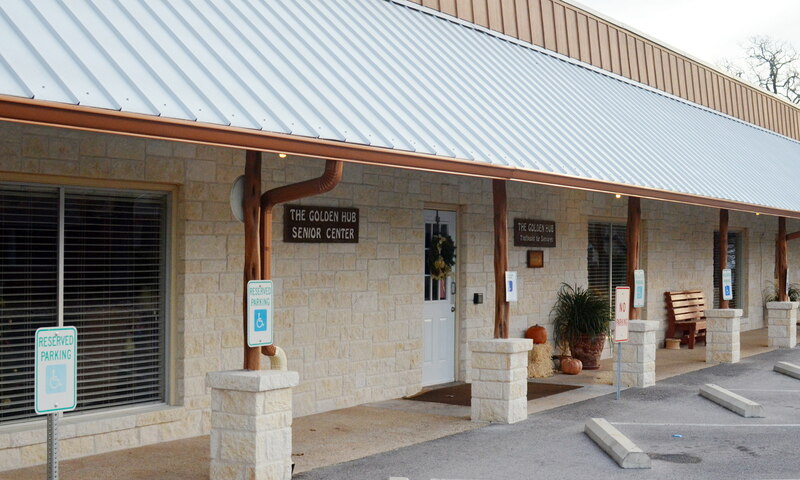 The Golden Hub Community Center has several sources of funding. These include individual donations of monies, goods and services; memorials, several yearly in-house dinners, our annual “Sponsor a Senior” Fund Drive, and the Golden Hub Foundation. Donations can be designated to assist with funding for The Golden Hub Meals on Wheels Program, the in-house dining program (Congregate Dining), or for general use toward our many activities and operating expenses. The Golden Hub also offers its building for rent after hours and on weekends. Rates are $100 for evenings after 5:00pm Monday – Friday and $225 all day Saturday or Sunday. Organizations wanting to use the facility for regular meetings please contact Denise for special rates. Contact the Hub for more information at denise@goldenhub.org or call (830) 997-7131. Birthday Bash sponsors (individuals and businesses) are always welcome. Sponsorship is a $50 donation which defrays the cost of the cake and prizes. Sponsors are acknowledged at the party, in our monthly menu and activity calendar, and on this website. Holiday Party Sponsors are needed as well. Sponsor one of our many holiday bashes and brighten a seniors day. Sponsorships are a $100 which covers the cost of party foods, punch, prizes, games and decorations. Sponsors are acknowledged at the party in our monthly menu and activity calendar and on the website. Please contact Melanie for information at 997-7131. Advertise your business on our monthly menu and activity calendar. Call Denise or Melanie for availability and pricing. The Golden Hub Foundation is a non-governmental, non-profit organization managed by its own board of directors, in order to provide future funding for continued operations of the Golden Hub Community Center. The principal of the monies in the Foundation account is to remain untouched with only the interest from the monies used in support of the Center. Donations to the Foundation are tax-deductible. Donations may be made directly to the Foundation, through a memorial gift, a will, bestowing of stocks or bonds, assigned royalties, real estate endowment, or establishment of a Trust Fund. Contact President, Britt Pounds at 990-0752 to make a donation or for more information. The Golden Hub Foundation Board of Directors are: Connie Crenwelge, Judy Hoopman, Marc Jacobi, Tony Klein, Moneca Osbon, Eric Parker, Britt Pounds, and Carole Reed.